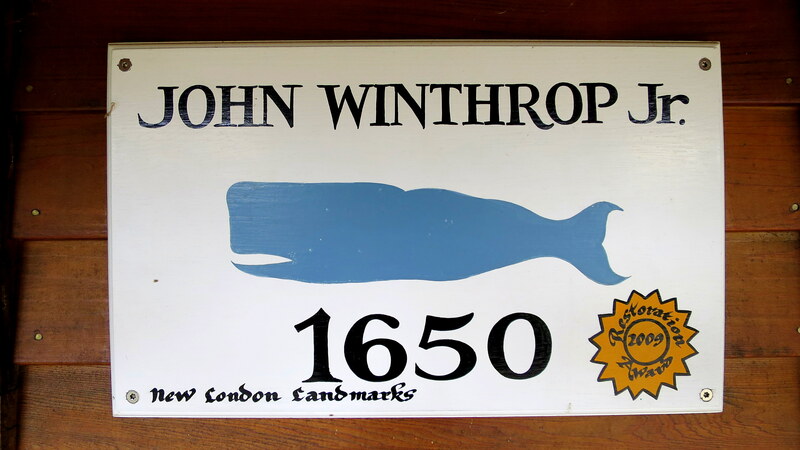 The Old Town Mill in New London was one of the first in the United States, built in 1650 by John Winthrop Jr., who founded the city of New London. 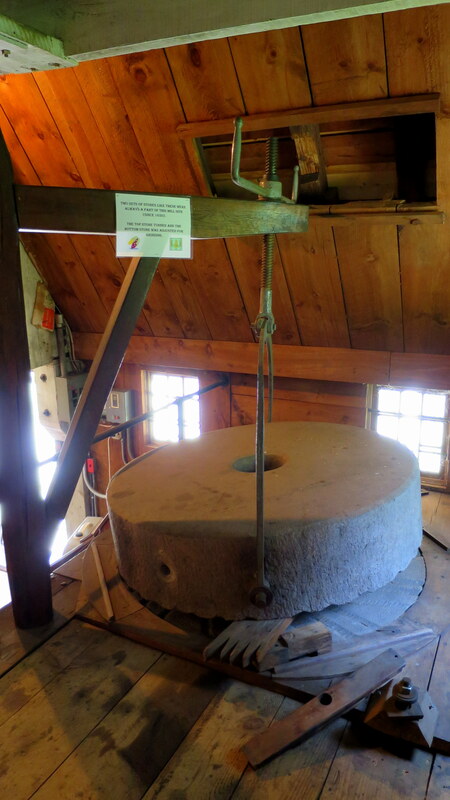 The original millstones were shipped directly from England and spent centuries grinding local farmers’ corn and oats. 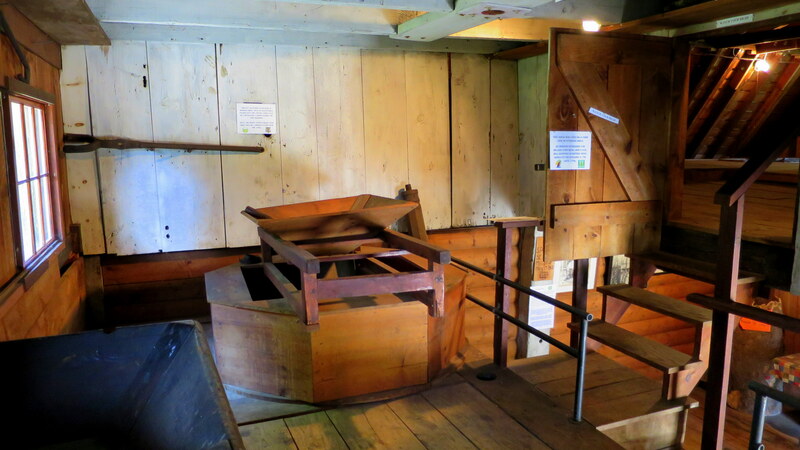 Featuring an overshot wheel and a two hundred foot flume from a millpond (now demolished with the flume being partially rebuilt), the grist mill also contained a drying loft and storage rooms and was created with an ingenious design from which the water from the sluice way could be directed onto or away from the wheel from the window in the loft where the millstones were located. 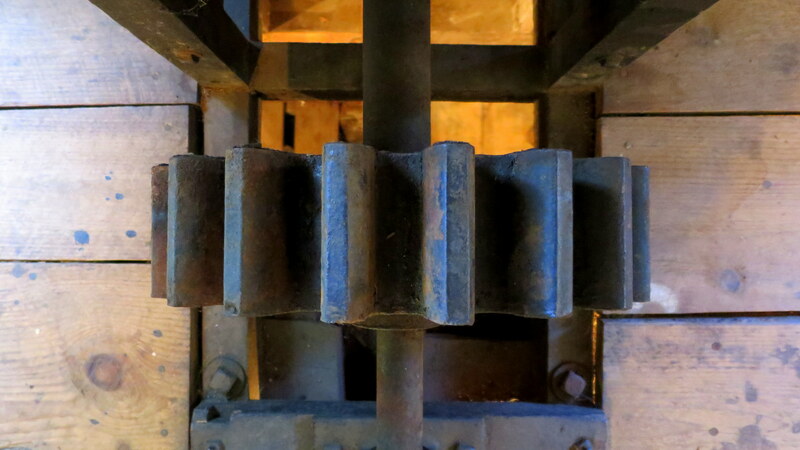 Leather gear belts similar to those at Wilkinson Mill still operate the drive shaft and gears, and the reconstructed sluice way feeds the wheel once again after a recent refurbishment. 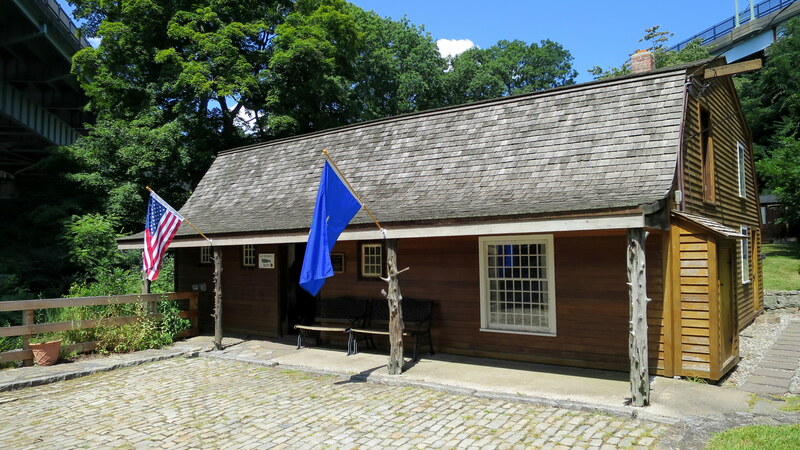 In addition, The mill has another place in history when it was burned by Benedict Arnold during the American Revolution. 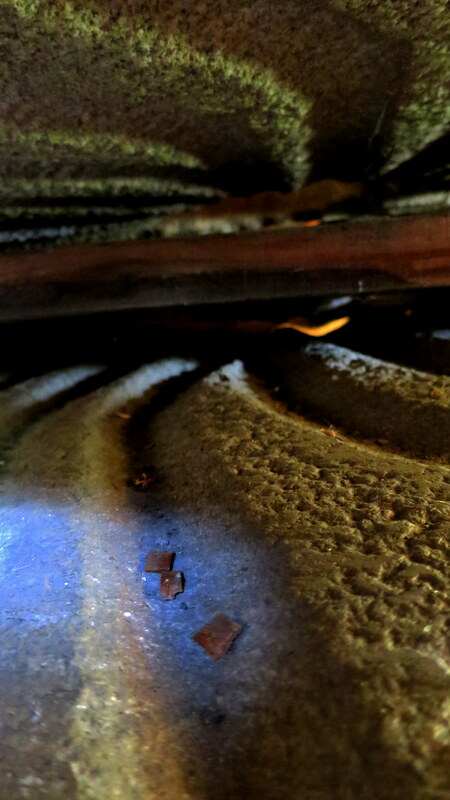 Today the small mill is nestled between the spans of the massive Gold Star Bridge that carries traffic from I-95. The construction of the bridge in the 1970s destroyed the original mill pond and some other historic buildings but thankfully left the mill intact. 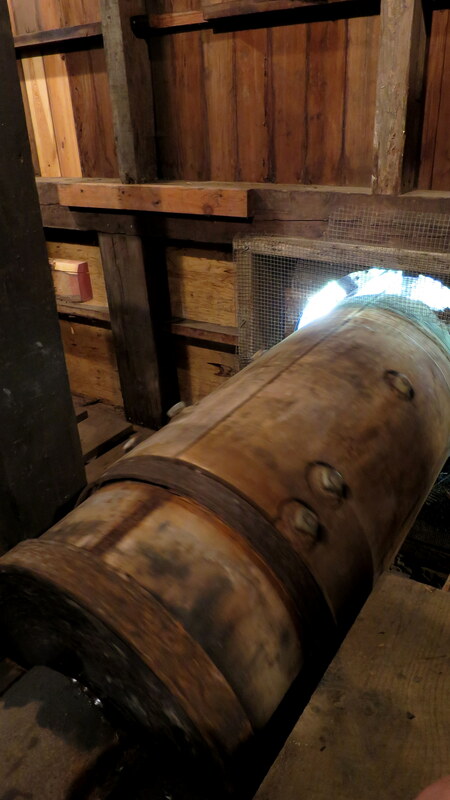 My visit here was extremely interesting thanks to the informative docent who answered all my questions and even let me crawl down below the loft to see the moving gears and spinning drive shaft up close. 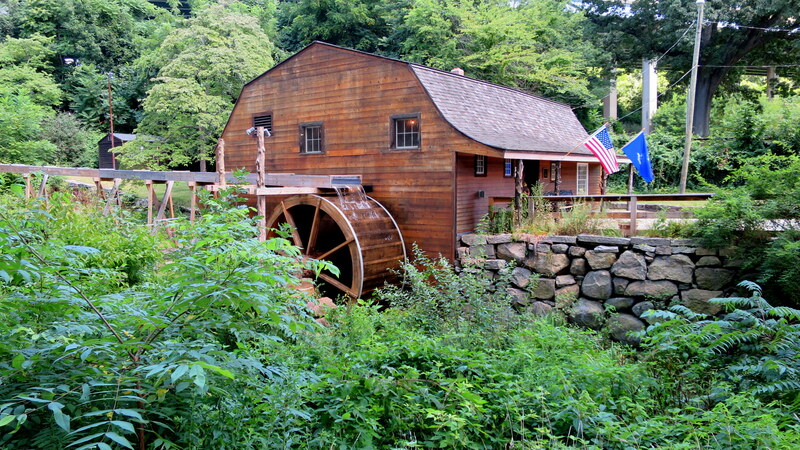 He also provided me with recommendations for other area mills to visit, which I ended up doing later that day. 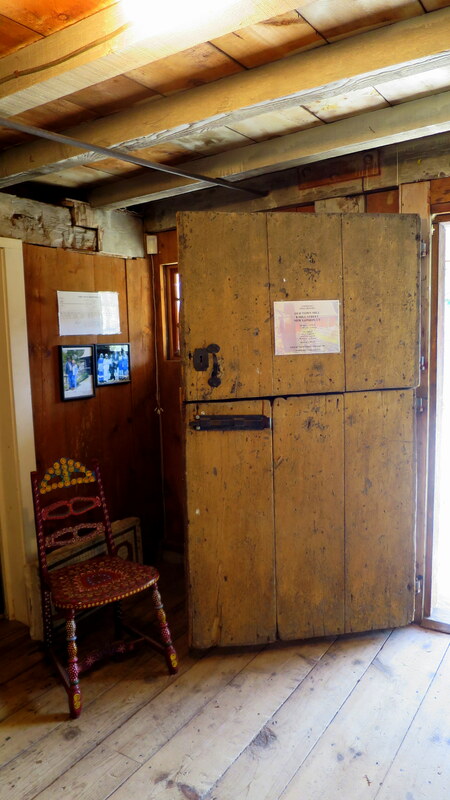 All in all, the Old Town Mill proved to be an unexpected treat.